For packing product into cardboard trays; the Asmech Systems Tray Packers can pack a wide range of different products into both half and full trays. Nesting of round or oval bottles can be achieved down both the 1200 and 1000mm edges. 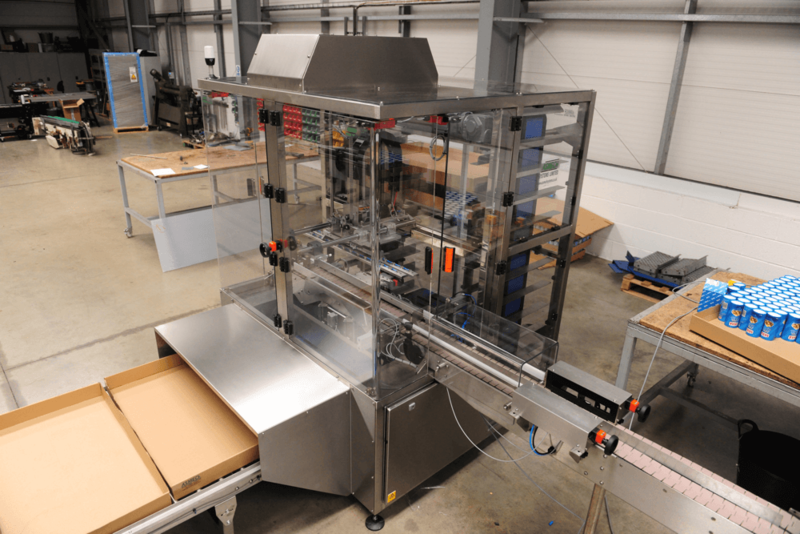 With a very compact machine footprint our latest tray packers are an ideal choice for all your tray packing needs. Speeds are product size and stability dependant, please contact us for more information.